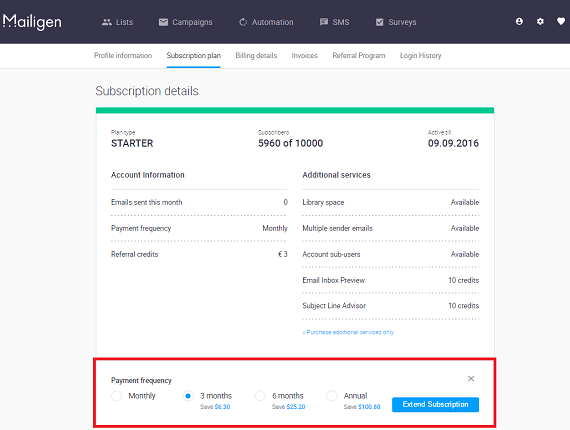 Subscription Plan - Pricing: How To Extend My Subscription? If you have an active plan, you can extend it without changing your subscription. Note: You can extend your subscription only when less than 30 days are left until the expiration date. 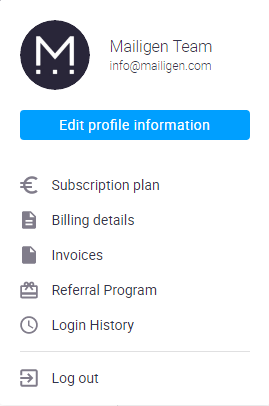 To access these plans, you need to go to Subscription plan section which is located in the Profile Management drop-down. 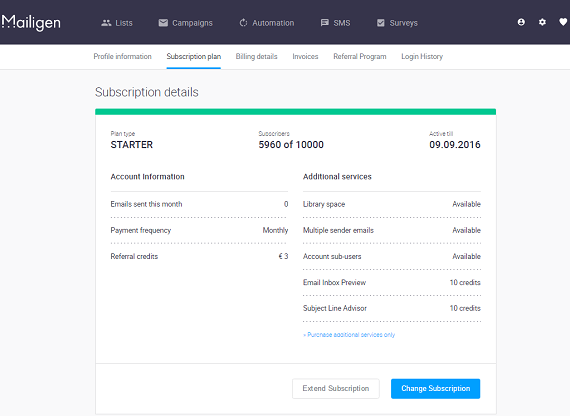 Then you will see a white button called Extend Subscription on the bottom of the page. 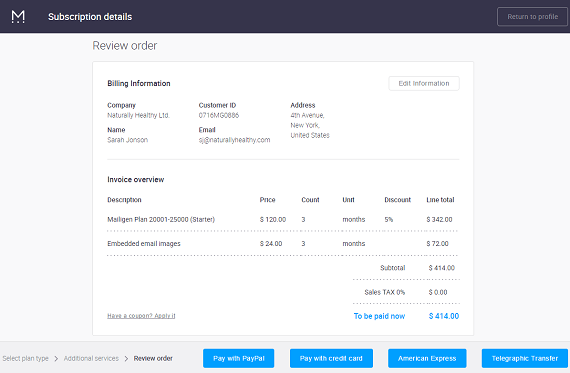 You will see payment frequency options. You can choose to extend your account either monthly, for 3, 6 or 12 months. Then click on Extend Subscription button. Then you will be redirected to Review order page. Where you will see your existing plan and additional services extended for the period previously chosen. By extending account you won't loose existing days on your account as our system will extend your account for the days you have till expiration at the moment. You can choose one of the payment methods — PayPal, Credit Card, American Express or Telegraphic Transfer. Choose the one that suits you best. When the purchase is made you will be redirected to Thank you page. 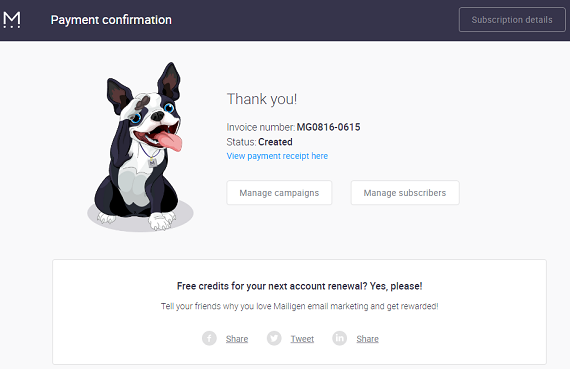 Here you will meet or lovely puppy and do several other actions like Send a campaign, Upload subscribers or Share the Love for our platform by posting about us on social media.